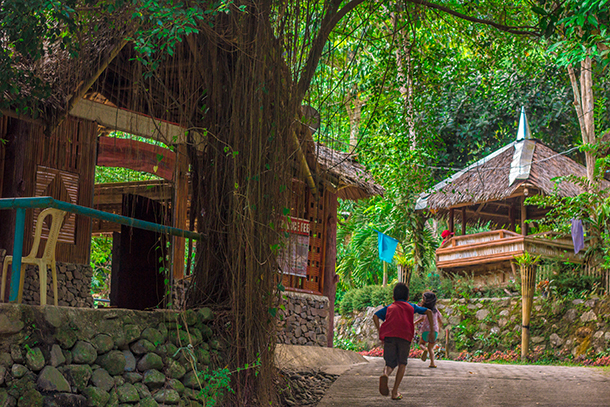 Negros Oriental in the Philippines is province in the region of Central Visayas. 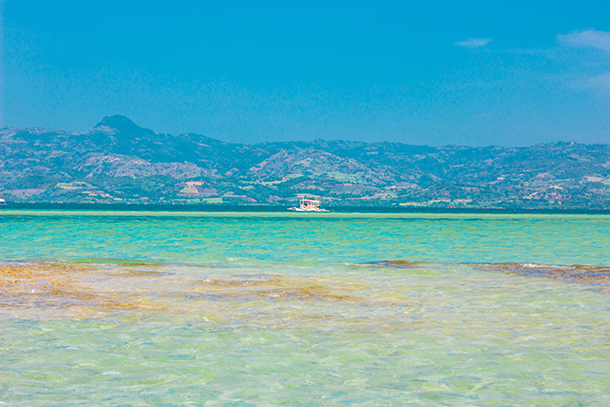 It is a region that is often overlooked by tourists (locals and foreign). 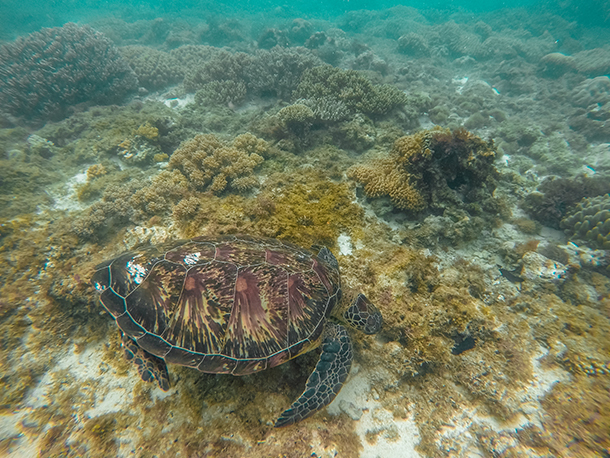 Admittedly, when planning our trip, I only had my sights at Apo Island and Manjuyod Sandbar and was not expecting other exciting places to visit. My expectation was very much exceeded and we thoroughly enjoyed our trip. We have experienced a lot of amazing adventures and have seen some beautiful scenery. 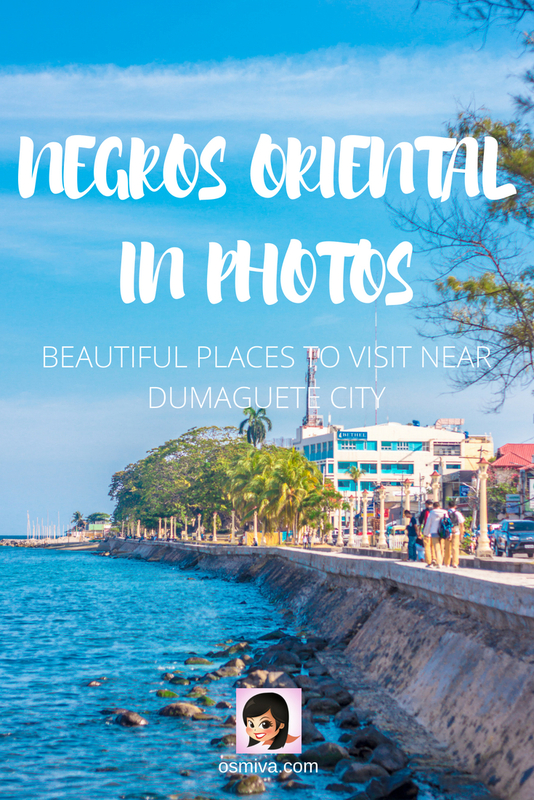 We were based in Dumaguete and was able to explore numerous municipality within Negros Oriental. Our trip was only for a few days yet it seemed like we have seen a lot yet at the same time still missing a lot of beautiful places. The trip from Cebu to Dumaguete is a fairly quick one. 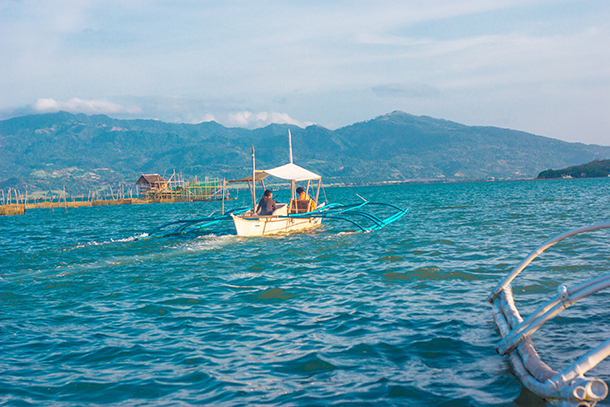 There are several ways to reach the city from Cebu including land trip, by air and by land. Is this your first time in the Philippines? 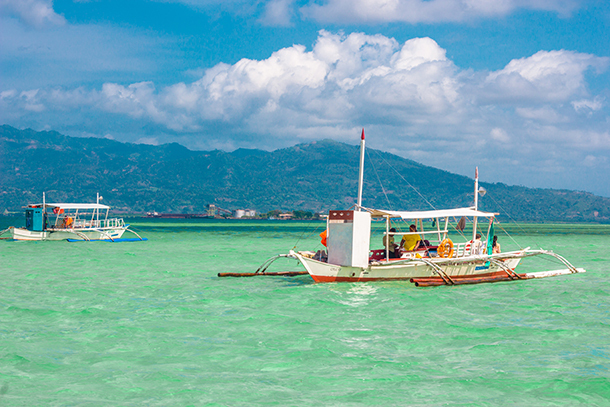 Check out our transportation guide in the Philippines in this post. To stop me from rambling about Negros Oriental, I’d like to take you on a photo tour of what made me fall in love with Dumaguete instead. 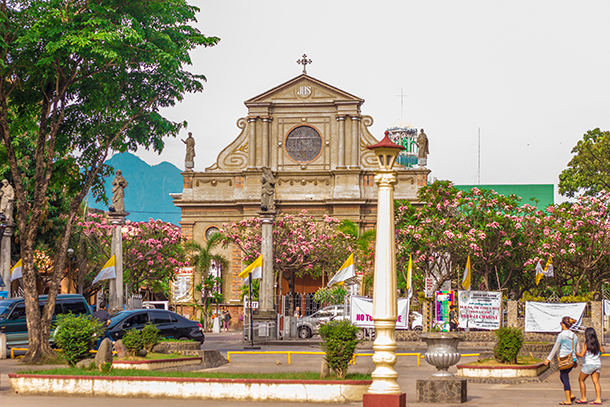 The Dumaguete Cathedral is one of Dumaguete City’s landmark. It’s at the city centre and you will certainly not miss it. 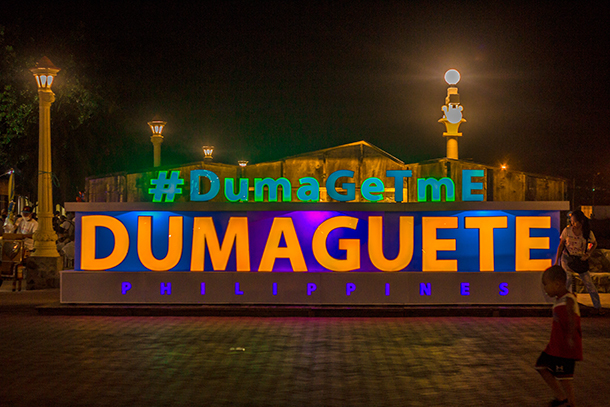 This signage is located at the Rizal Boulevard and definitely eye-catching especially at night with its bright light. If you want a selfie or a photo with a landmark that is all Dumaguete, this is certainly the place for it! 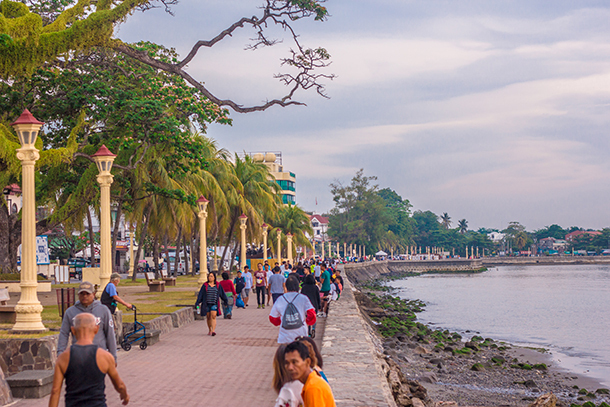 Early morning walks at the Rizal Boulevard is a nice way to start your day when in Dumaguete. 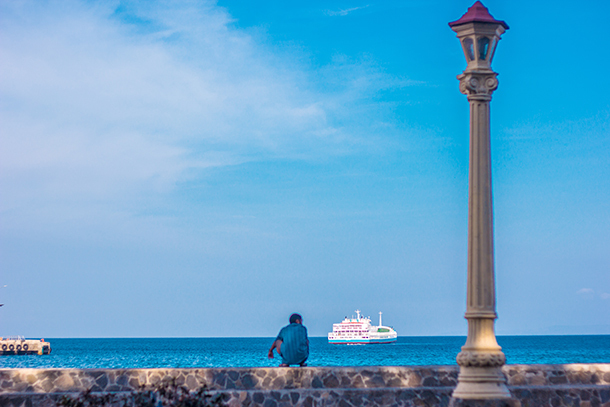 Aside from the calming views that the horizon offers, it’s a cool way to meet locals who are out for a morning walk too! 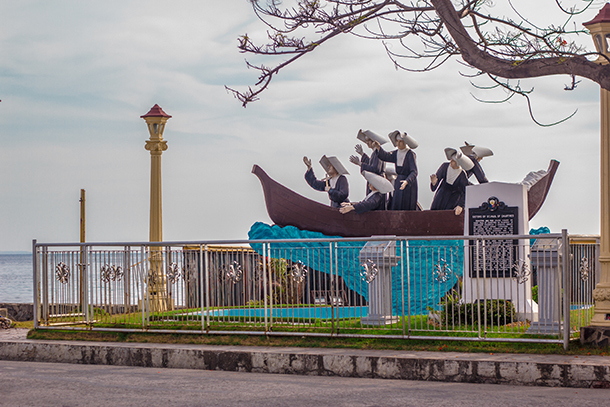 One of the statues along Rizal Boulevard. 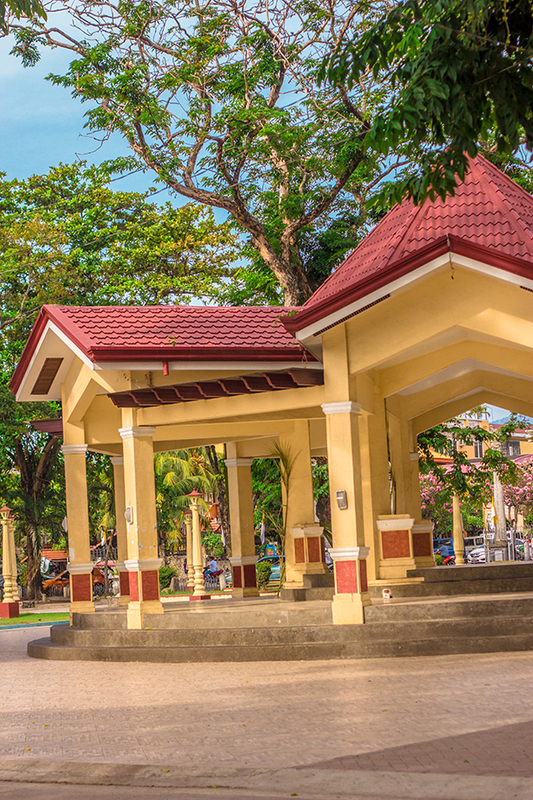 An open structure at the Quezon Park. We got a chance to walk around the park one morning after having our breakfast at Casablanca Restaurant near Rizal Boulevard. 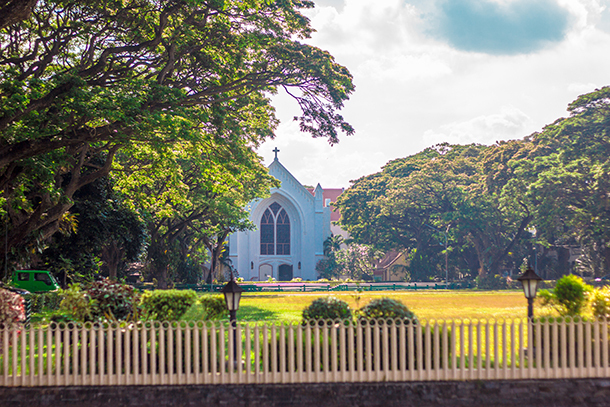 The view of the Dumaguete Church from the Quezon Park. 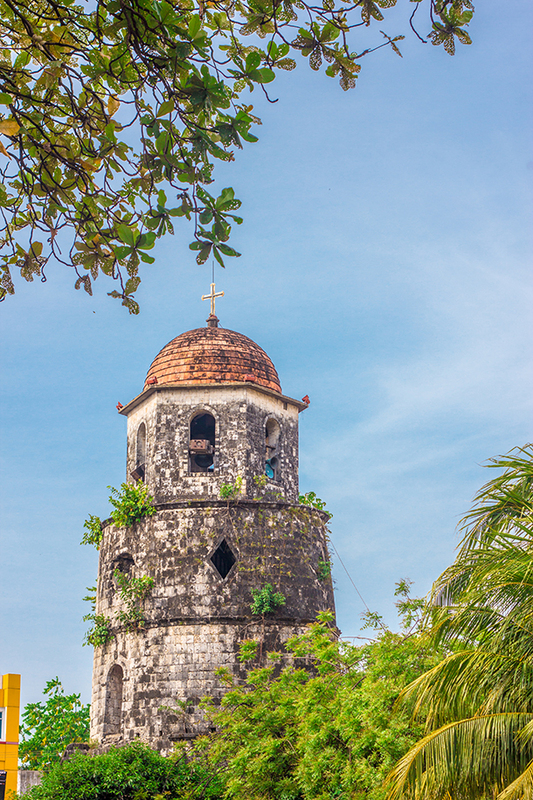 The Bell Tower is a popular landmark in Dumaguete. It reminded me of those I’ve seen in Bantay and Paoay during our Ilocos Trip. 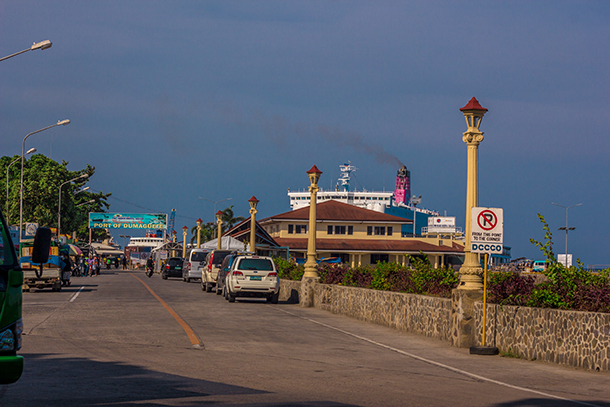 The view of the entrance to the Dumaguete Port. It’s just along Rizal Boulevard. View from the Rizal Boulevard in the afternoon while we were passing the time until our flight back home. Another angle of the view from Rizal Boulevard. 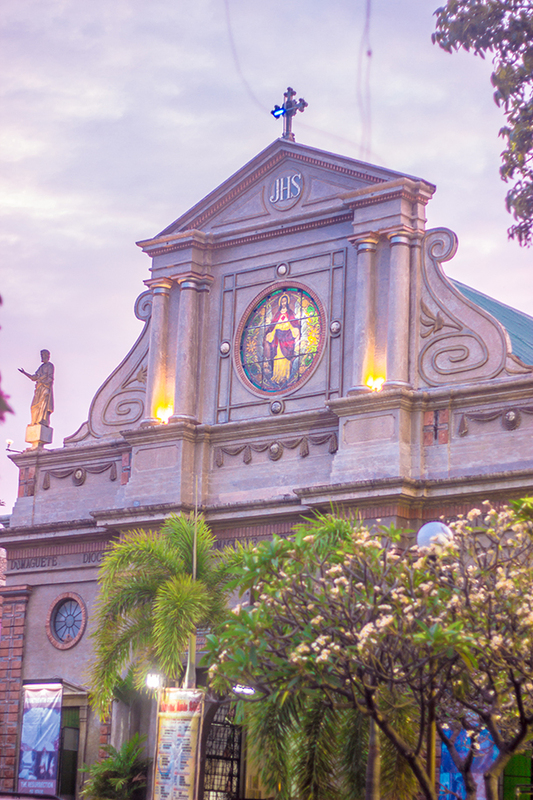 Dumaguete’s most popular university: The Siliman University. We were supposed to visit its Anthropology Museum but was not able to due to the holidays. 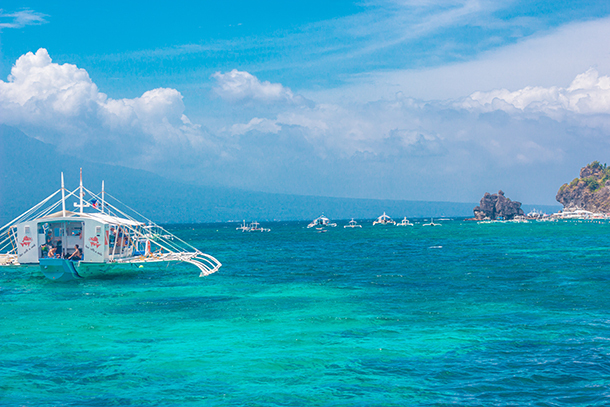 Boats near Apo Island during our Tour. 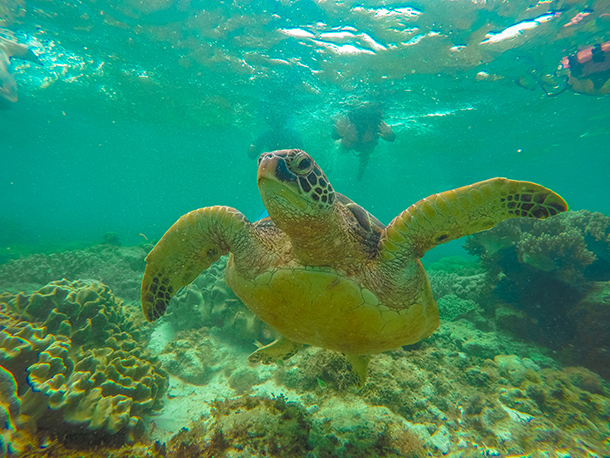 It was a nice day out to be swimming with the sea turtles! The views from our boat. View of the shore. There’s a resort at the island for those wanting to stay the night. The first sea turtle that we’ve spotted! Couldn’t have been more excited! Here’s another shot with us on the background. 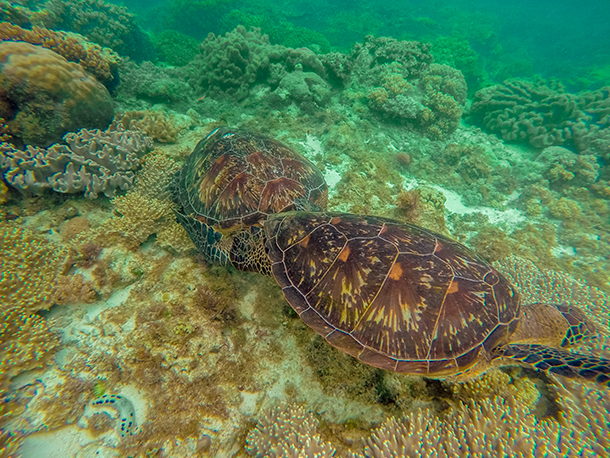 The sea turtles at Apo Island are definitely not camera-shy! Saw these two on our 3rd stop. Another small boat that was doing the tour with us. We were tailing them while we were looking for dolphins. View of the cottages from afar. We were on our way to the sandbar after the failed attempt to look for dolphins. The view of the cottages from our first stop: the shallowest portion of the sandbar. Another pump boat/ outrigger boat approaching the sandbar. 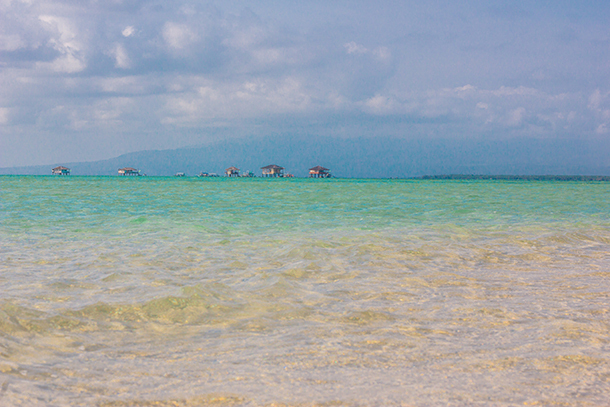 Some of the boats docked near the cottages at the Manjuyod Sandbar. The Canibol Wharf as we were about to dock from the sandbar. Our view as we were hiking to the falls from the entrance. Here you can feel the change of temperature from warm to cool. The trail going to the falls is made up of rocks (in all shapes and sizes). 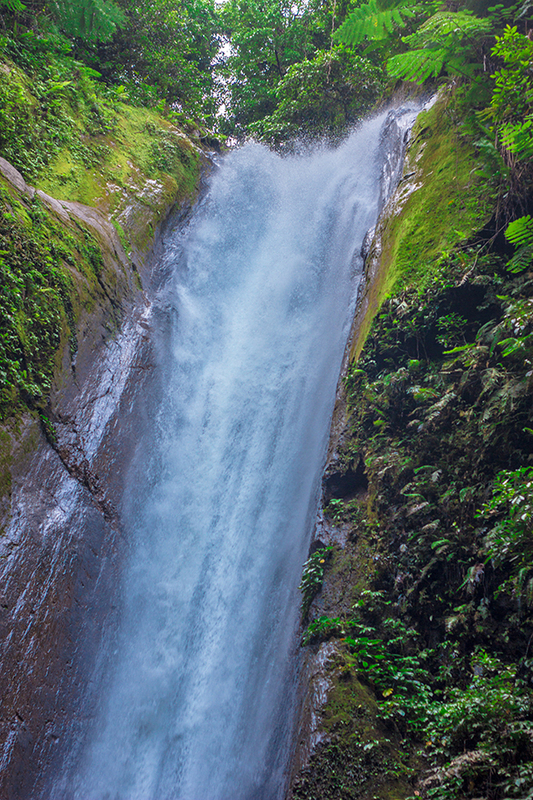 Our first glimpse of the Casaroro Falls. Definitely worth the hard hike. 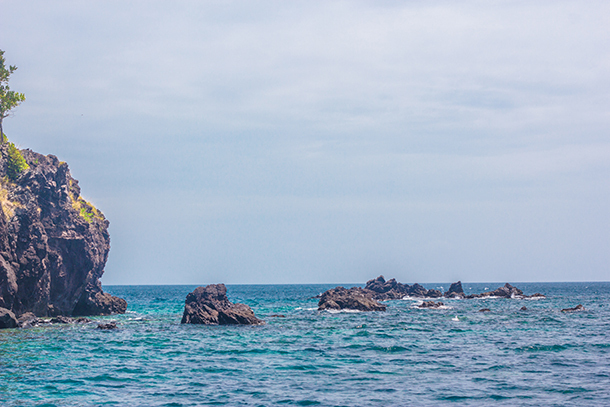 People can take a dip at the base but be careful not to swim too close as the current may be pretty strong. View of the topmost area of the falls. 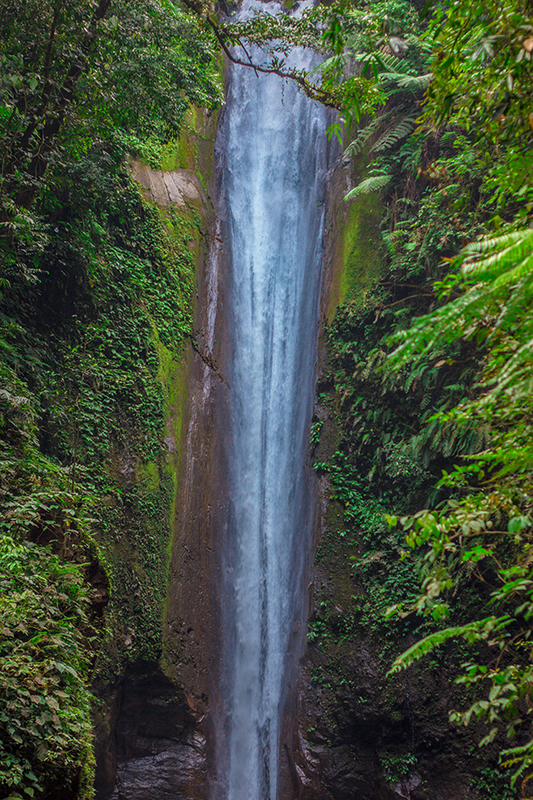 Casaroro is a tall waterfall. I wonder if cliff-diving is allowed here just like those in Daranak Falls and the Kawasan Falls in Badian. Probably not as it’s too high and the base too narrow. 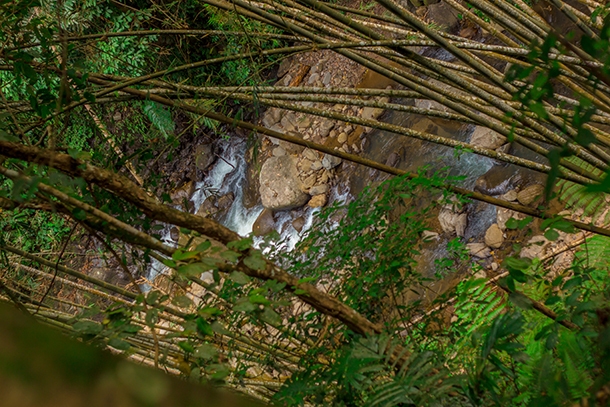 The entrance to the Pulangbato Falls in Valencia. 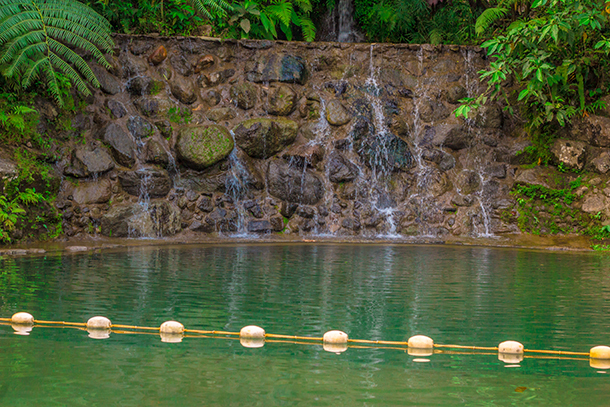 It’s actually a developed swimming area with facilities available for guests. 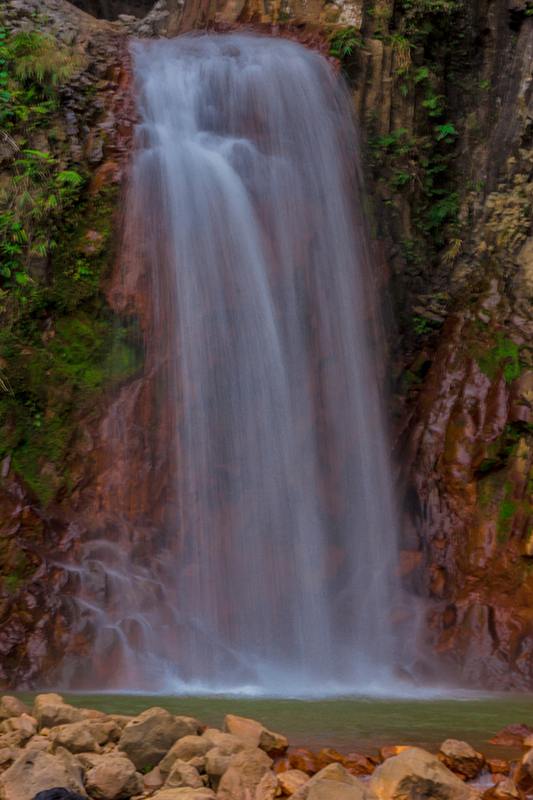 The falls got its name from the red stones that make up the entire falls. 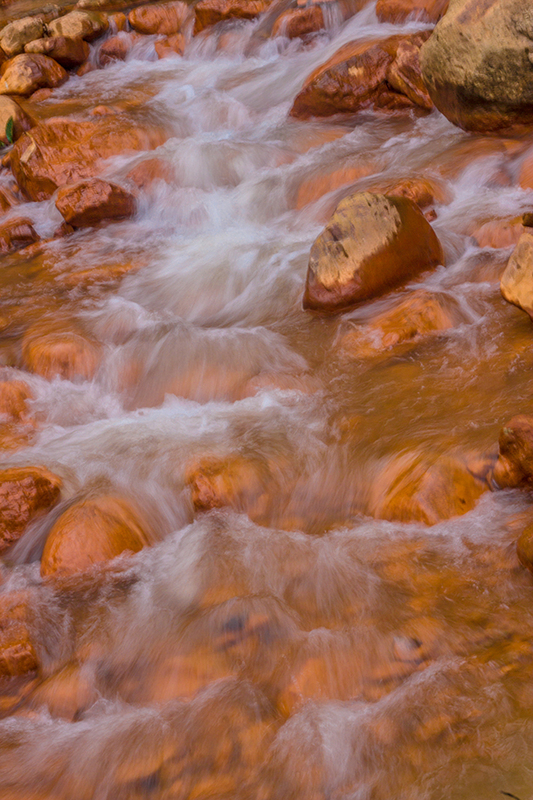 The water as it flows from the base of the falls. 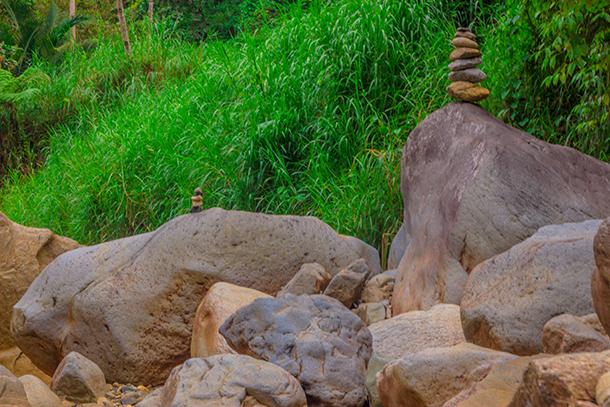 A man-made stack of rocks near the falls. Kids who were swimming here piled this and we thought it was a cool subject to take a photo of. There are two (2) falls in the area. 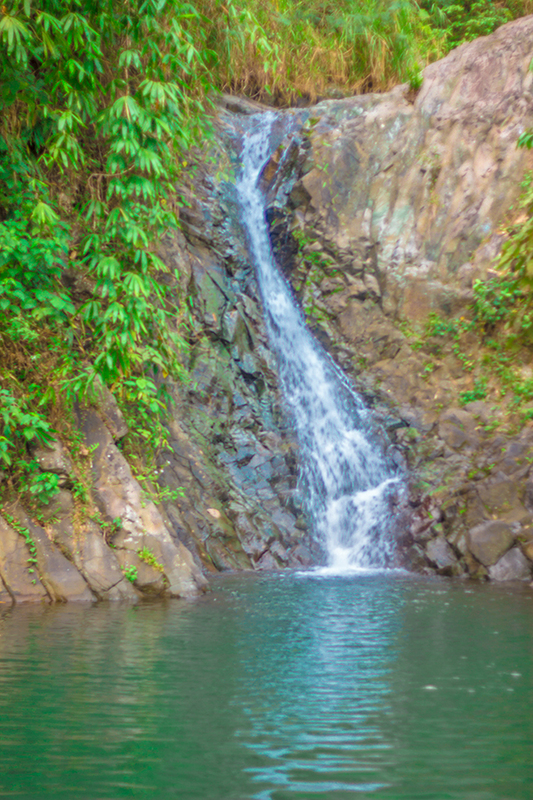 This was the other falls where a pool-like area was created at its base. 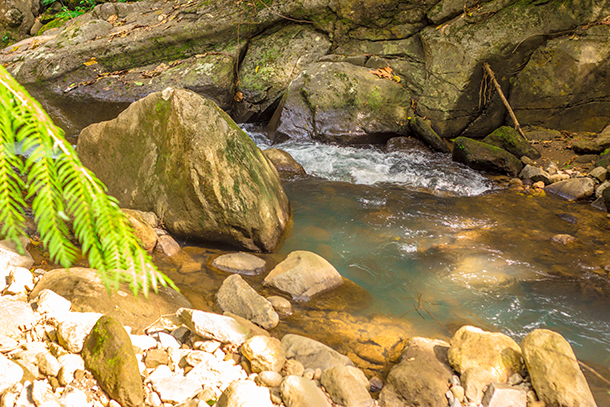 Here’s another pool just a few meters away from the falls. One of the places we stopped by going to and from Pulang Bato Falls. 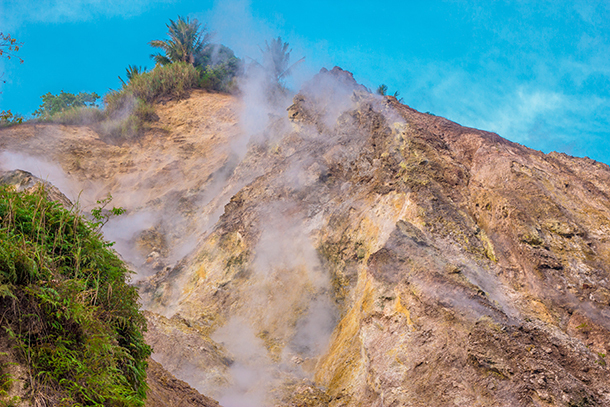 This is a natural Sulfur Vent that locals also call as Steaming Ground. The smell is bearable as long as you don’t say too long. And of course, you can feel the heat coming off the mountain if you don’t stay too close. This is the hi-way at the base of the mountain. People do pass by here everyday especially residents near the area. 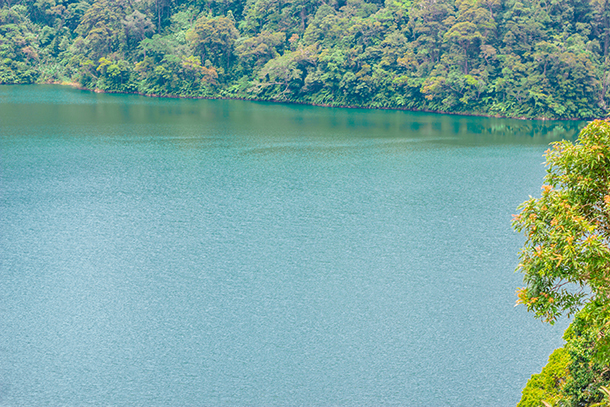 The first lake near the base/ entrance of the Twin Crater Lakes. 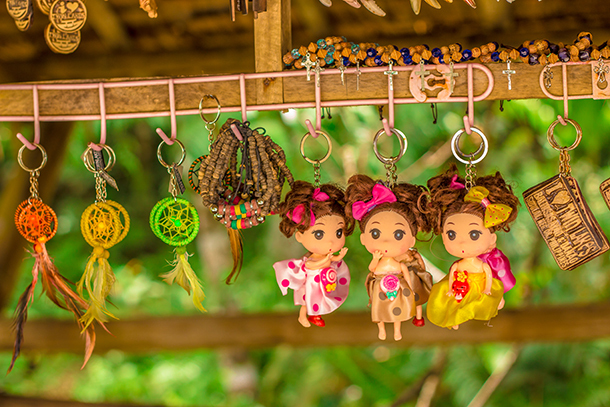 Sample of the souvenirs for sale that we saw near Lake Balinsasayao. 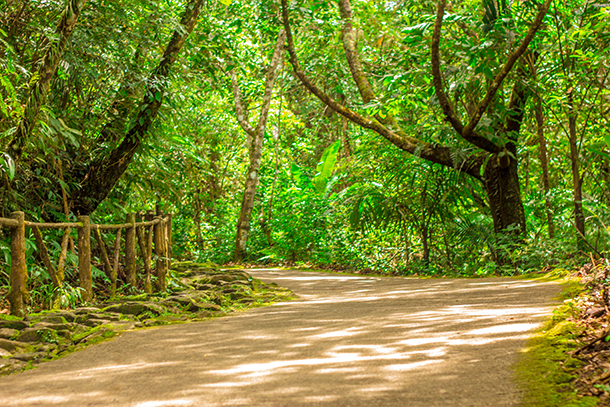 Shaded path to the Lake Balinsasayao and Lake Danao. Lake Balinsasayao on first glance. This is the view that greeted us when we entered the area. Another view of the Lake Balinsasayao from the Viewing Deck. 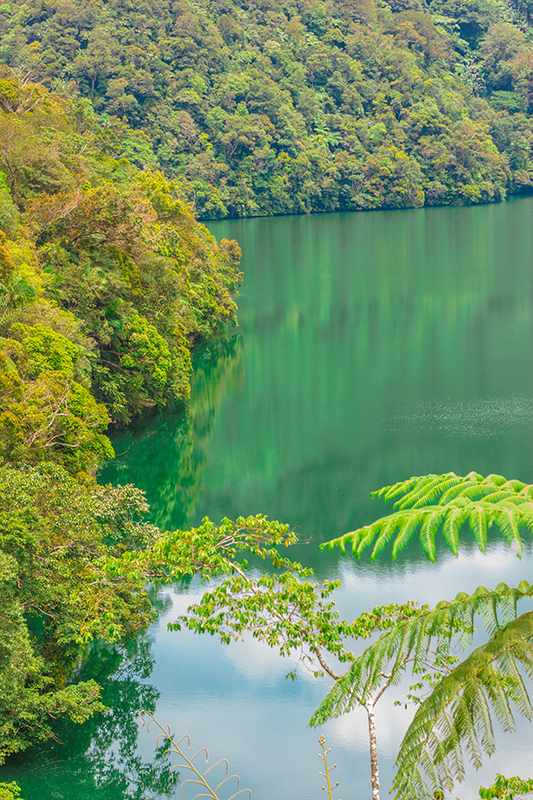 View of Lake Danao also from the Viewing Deck. 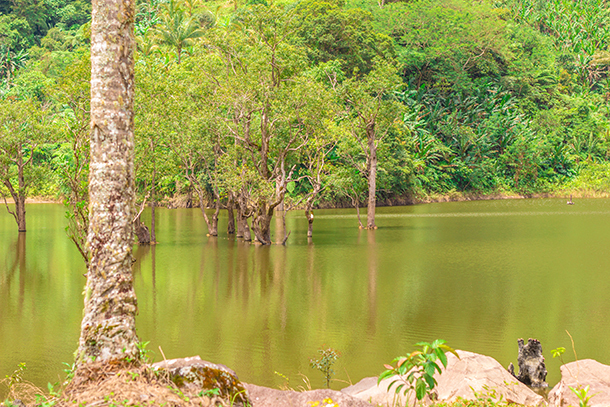 Here’s another view of the tranquil Lake Danao. 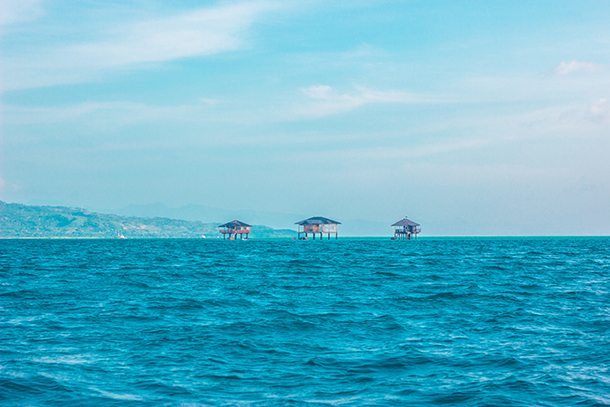 I’ll be explaining in details our entire trip to Dumaguete and its beautiful sights near the city soon on the blog! 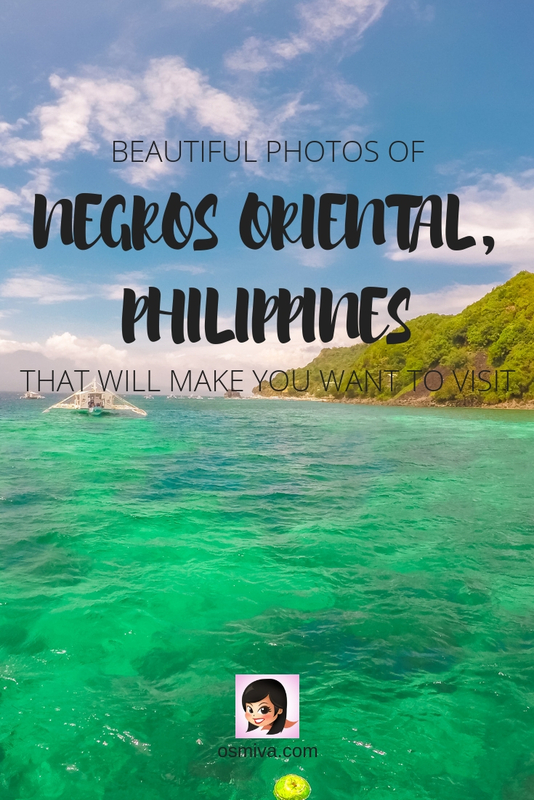 Have you been to Negros Oriental? There’s so much more amazing sights to see. I hope to get back again and explore more! 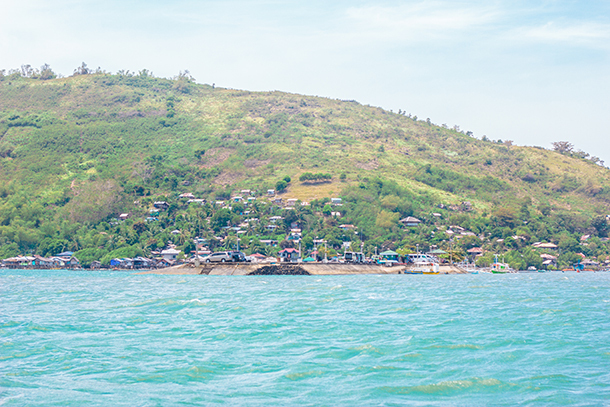 Isn’t it crazy how we can be so focused on the “main” attraction, that we often overlook something as beautiful as Negros Oriental? Stunning pictures! 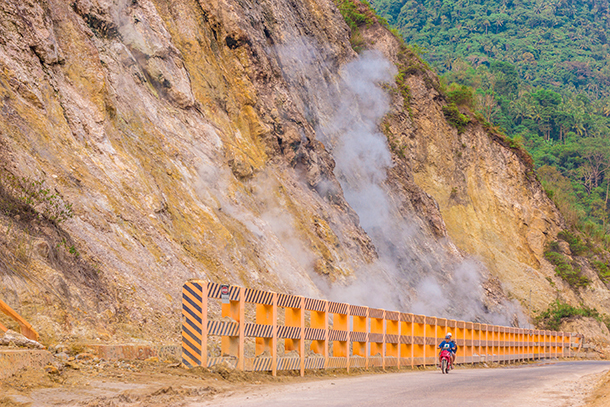 Passing by that sulfur vent on the highway would be a total thrill! I’d agree on that! 🙂 Thank you, Rachelle! Aww.. Thank you, Parichay Mehta! Wow that looks like such a beautiful town! But you totally won me over with those waterfalls. 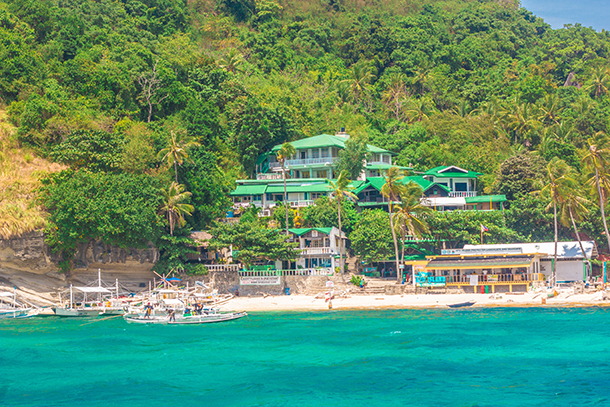 We just spent three weeks exploring some of the Philippines and I can’t wait to get back and see more, I’ll be going here for sure. Thank you, Kevin.. 🙂 Hope you do! Negros Oriental is beautiful! I am in love with Dumaguete City! The possibility of see so many natural wonders is so exciting. I could have never imagined someone so close to the sulphur venting mountain and then I see your pic. The waterfalls and lakes are mind blowing. Excellent place for insta worthy pics. 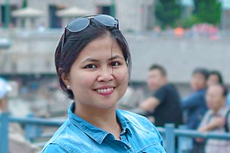 Im originally from Ilocos and the furthest I travelled south was Boracay. After reading this Wow Dumaguete has just added to my Pinas travel list which is getting longer! I can’t wait for my next pinas vacay! 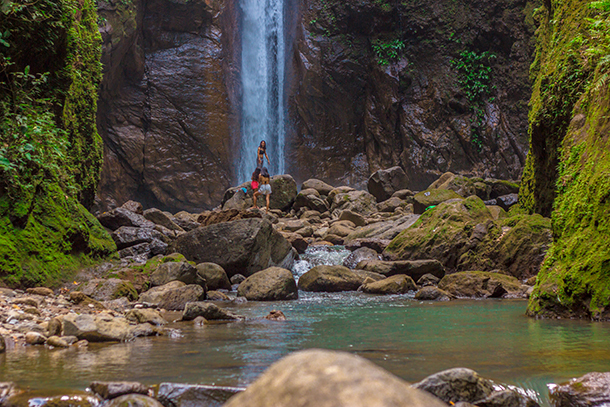 I love to explore the unexplored and Negros Oriental would be fun and interesting. 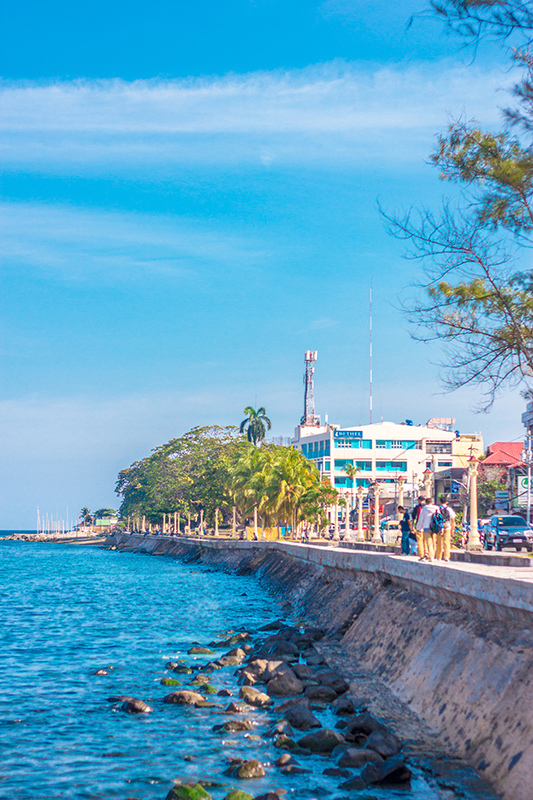 Dumaguete City looks very beautiful. 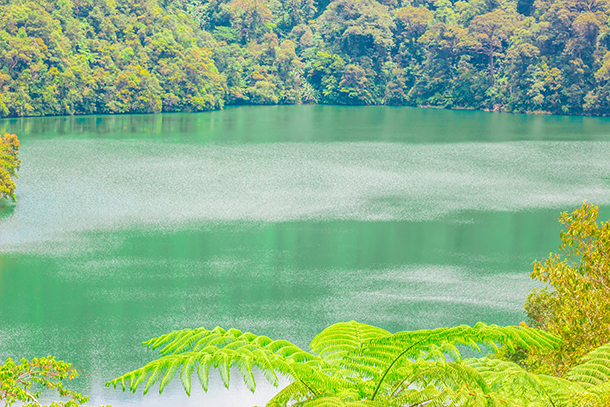 So much of natural wonders, greens and blues, lakes and waterfalls. The Sulphur vent can be dangerous if one stays there for a few minutes. I saw some in Taal lake also. I cant get over your pictures gal. So beautiful. From a morning walk around the beach to turtle watching, everything is just amazing. The waterfall looks really huge. I always say Philippines is a big time beauty in itself. Dumaguete is really beautiful! I have been here numerous times but this place still takes my breath away each time! 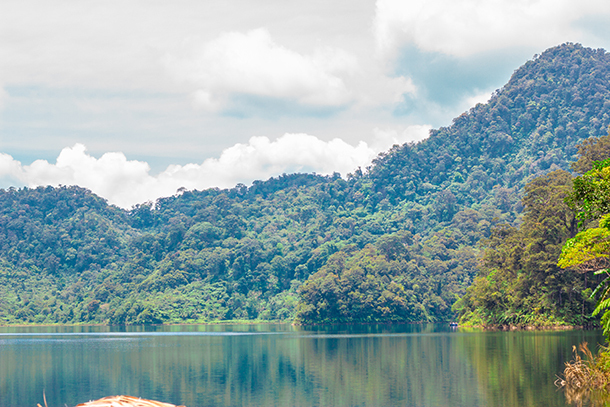 Your photos are awesome, especially those of Lake Balinsasayao. Aside from the views, I think it is also worthwhile to mention that the local residents of Dumaguete are some of the nicest people in Philippines!